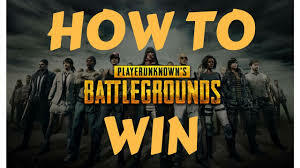 PUBG is one of the most tactically intense Battle Royales where gamers play in solos, duos or squads, trying to win the chicken dinner. like to increase the difficulty by playing solo in squad matches. Alternately, sometimes your squad might die, leaving you alone. Thus we bring five tips to defeat squads singlehandedly. If you are playing solo in a squad mode, you will want to avoid all high-action areas, irrespective of the map. As groups of four battle it out, choose the quieter landing spots that let you loot in peace. When moving, keep scouting your surroundings since squads are easier to spot. Similarly, playing solo, you'll be harder to spot. Keep to covers while moving. After landing, the next key aspect is looting. We suggest you use weapons with quick reload speeds. One such example would be the UMP9. Attach extended quickdraw magazines which would give you more bullets that shall come in handy when you singlehandedly engage squad members. Try and pick up a suppressor or a flash hider to remain somewhat stealthy while firing upon a squad. Pushing or attacking a squad while alone can seem scary. However, with these tactics, you have a good shot of being victorious. Attack suddenly and knock out one player. Squads often panic during surprise attacks. While one team-mate is reviving the knocked out player, flank the squad silently and kill both. Use distractions and cover to rush the other squad-mates to kill them eventually. If you have to attack squads singlehandedly you must use grenades. Frags are a great way to damage several squad members at once if they are clustered together. Smoke grenades come in handy when you have to use misdirection and cover to outflank squads and pick them up one at a time. Therefore, when playing solo in squad matches, always pick up throwables. In the final circle, move around the edges of the circle and let the other squads battle amongst each other. Even if you spot enemies, do not shoot and give away your location, unless you are in any immediate danger. Wait for one squad to emerge as survivors. Take them out using the same tactics suggested in tip 3, to win the chicken dinner.